Every nook and cranny will be neat AF! 1. 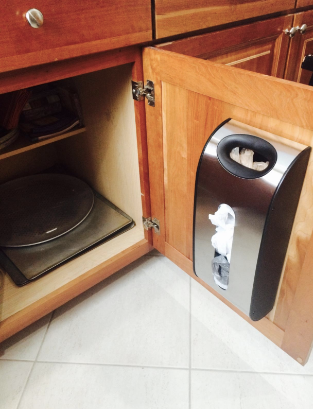 A customizable, nonslip drawer liner so your larger kitchen utensils won't move around or disappear from sight just when you need them. Includes one adjustable base mat and 15 Divitz in three sizes. Get it from Amazon for $34.99. Also available in red, purple, green, blue, and orange. 2. This boobie trap bra organizer to transform your drawer into a literal Victoria's Secret collection. You can probably even figure out which bra is which, now! Finally a place to put all of your boulder holders! 3. 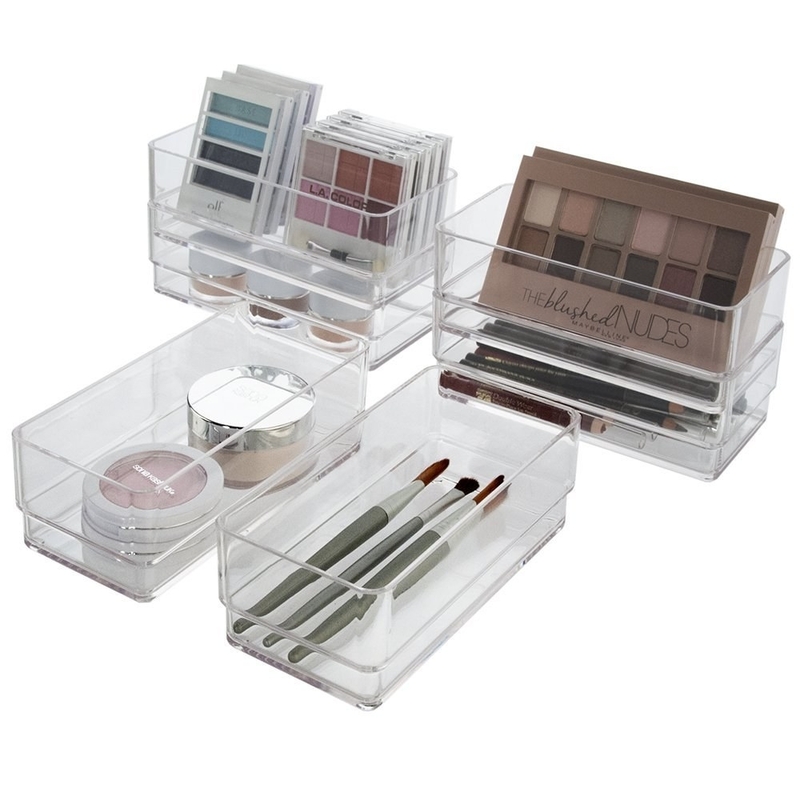 A set of stackable plastic drawer organizers — ideal for all of your makeup, toiletries, or small office items. Get it from Amazon for $11.99. Comes in a six-pack. 4. 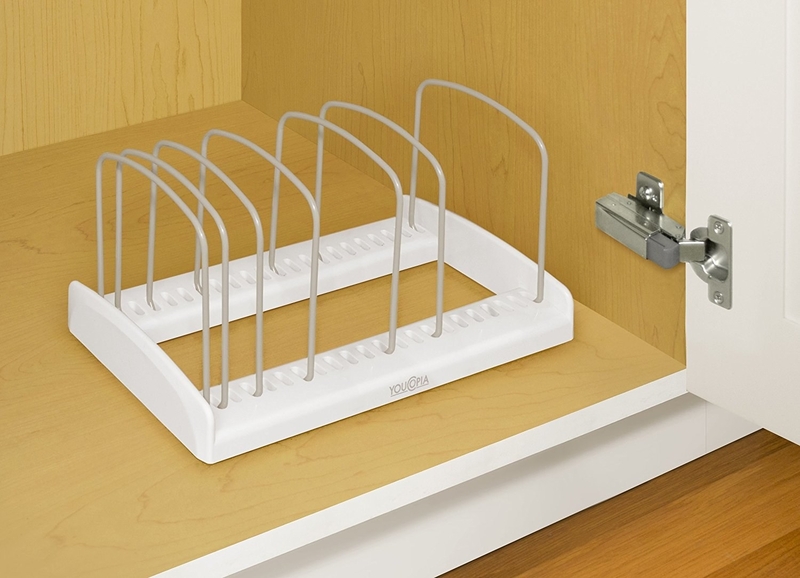 A metal drawer organizer to keep your vanity in tip-top shape. No more wondering where your tweezers are — they're right in front of your face! 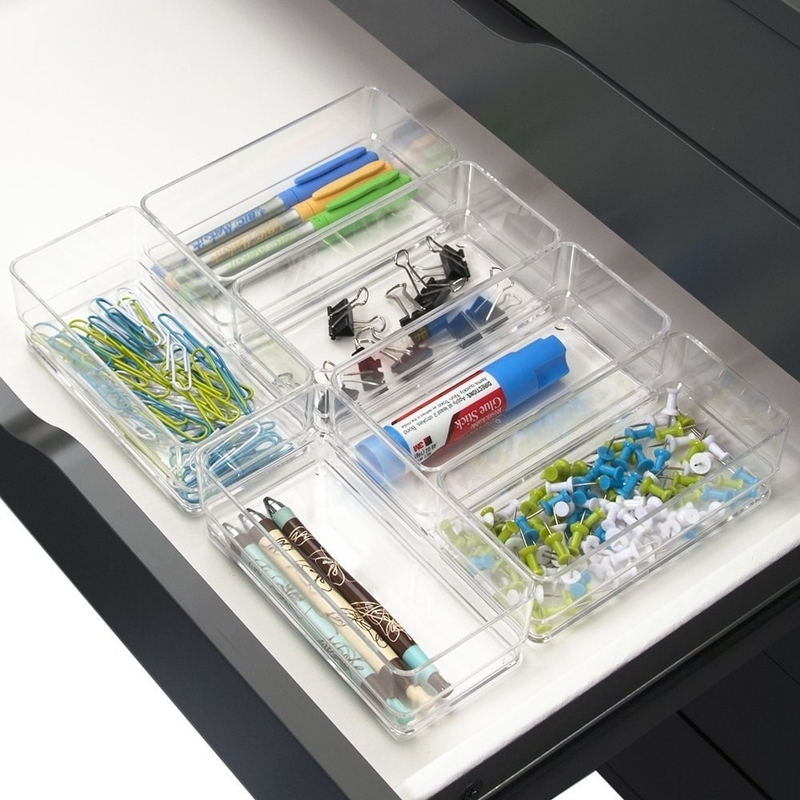 Includes two sets of metal drawer organizers. 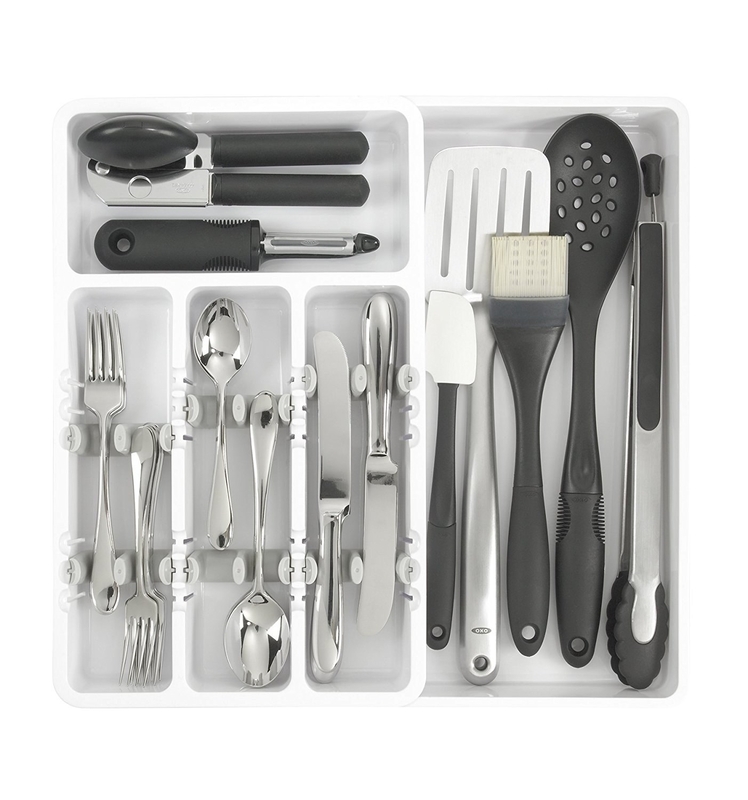 Get it from The Container Store for $29.98. 5. 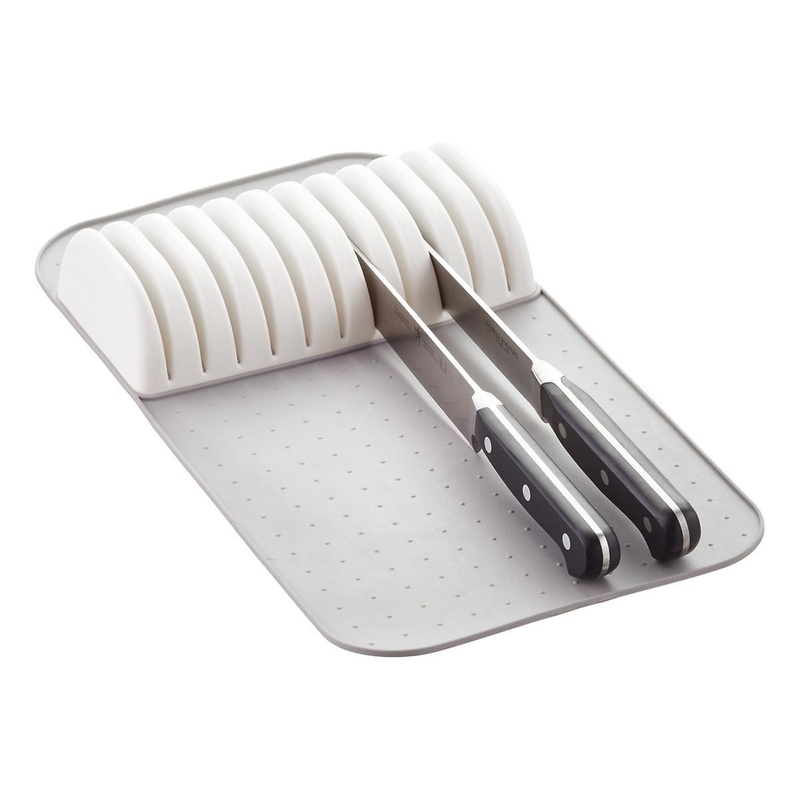 An easy-to-clean knife mat that won't dull your knives and can save precious counter space. 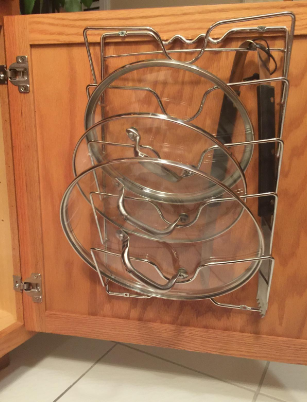 Who needs a knife block when this can keep 'em safe and secure? 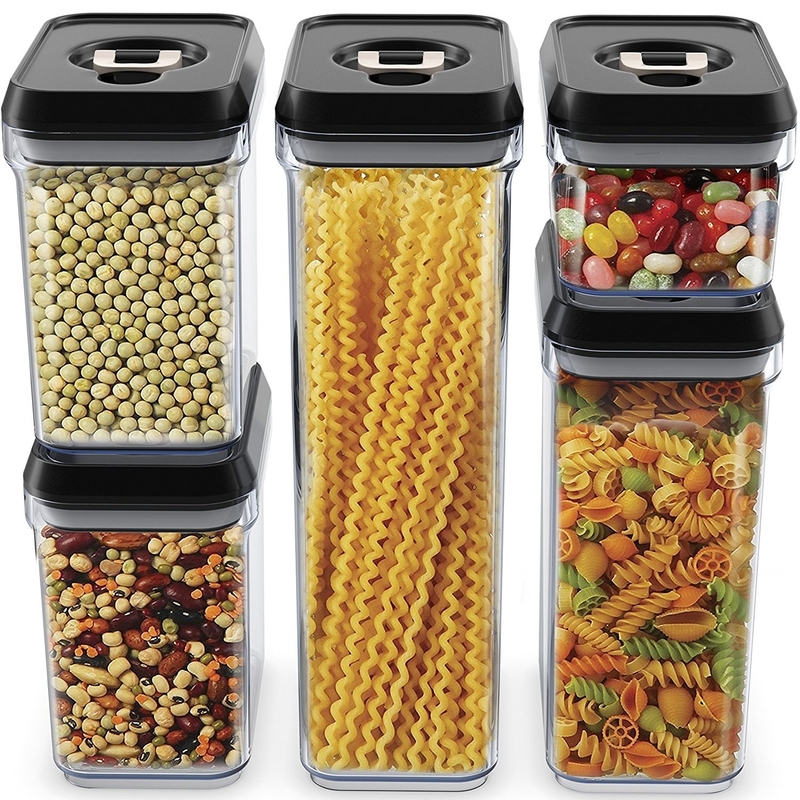 Get it from Amazon for $21.99 or The Container Store for $14.99. 6. 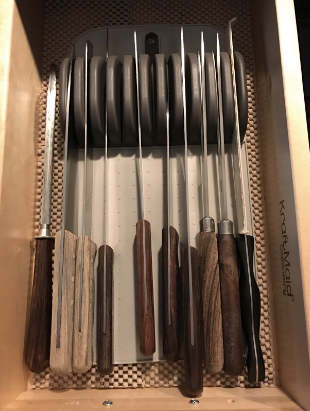 An expandable cutlery organizer with adjustable dividers in order to fit inside every drawer, as well as to house all of your forks, knives, spatulas, and slotted spoons. Get it from Amazon for $14.99. Also available in gray. 7. 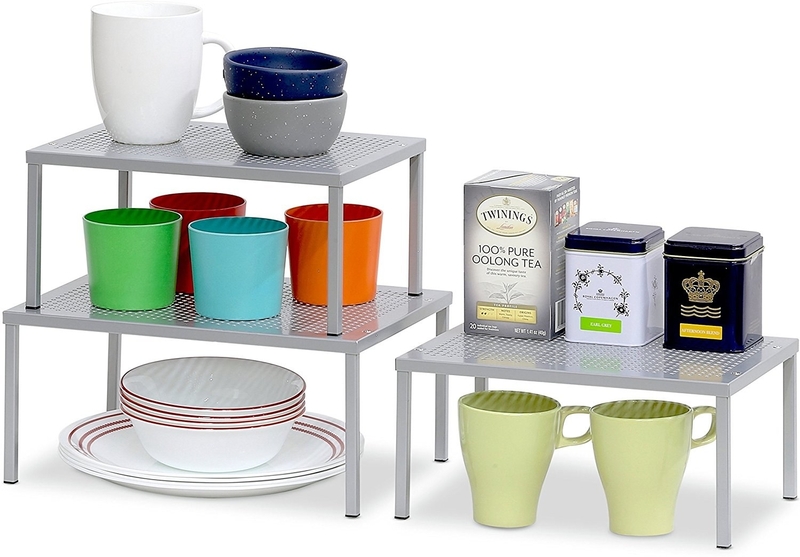 These stackable shelf organizers to put a clear division between your plates and cups and actual food. 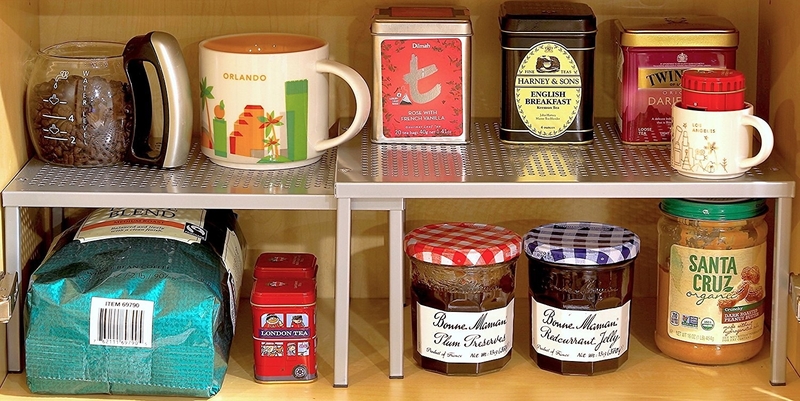 Your cabinets and pantry are capable of more than they know. Get them from Amazon for $13.77. Also available in bronze. 8. 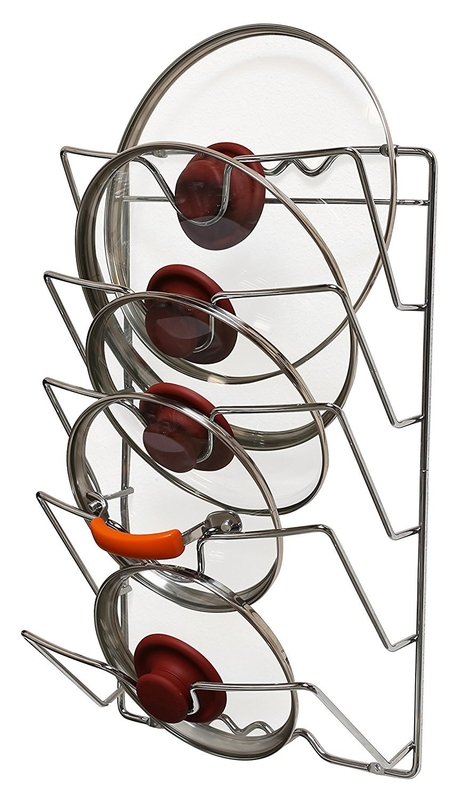 An attractive wire basket to keep any and everything in its rightful place and can be neatly stored in any of your cabinets. 9. This stackable can rack to keep cans from rolling out onto your toes. In these unpredictable times, canned goods might just come in handy in the event of a possible nuclear war. 10. 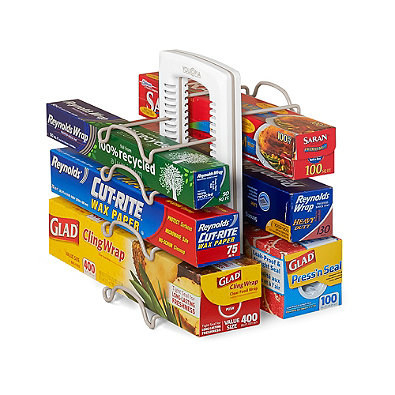 This adjustable wrap organizer so all of your packets of plastic can be easily identifiable. What even is the difference between the Saran wrap and the freezer bag in a dark pantry? 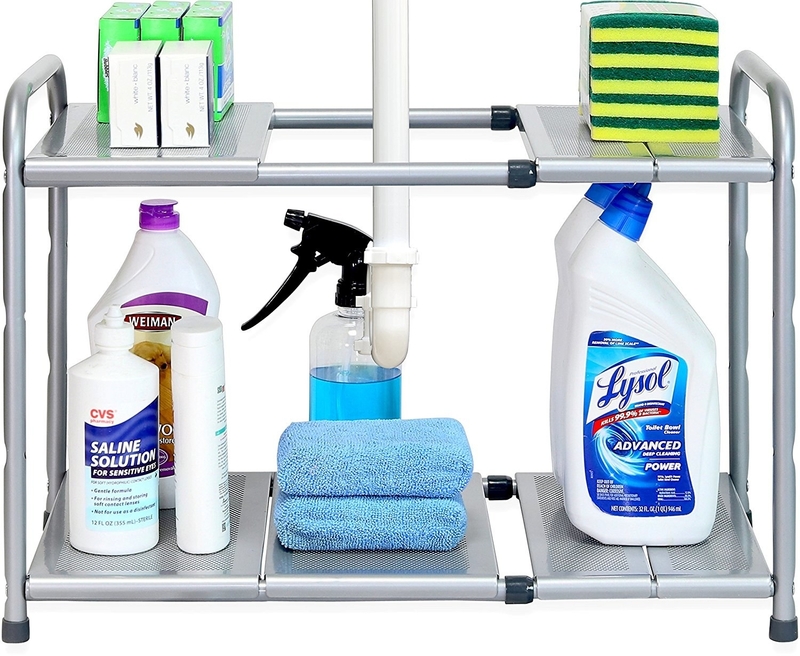 Get it from Bed Bath & Beyond for $14.99 or Amazon for $15.46. 11. 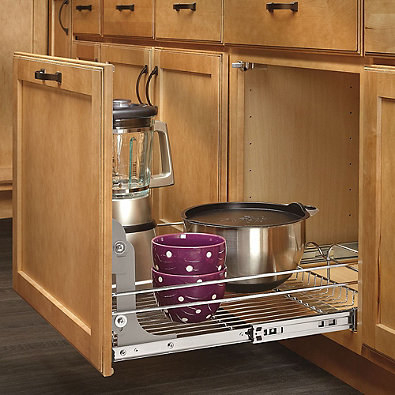 This under-cabinet stemware holder because it's all fun and games until you open your cabinet and your favorite wineglass falls out and breaks because of poor organization. With this, that scenario can just be a horrible dream. 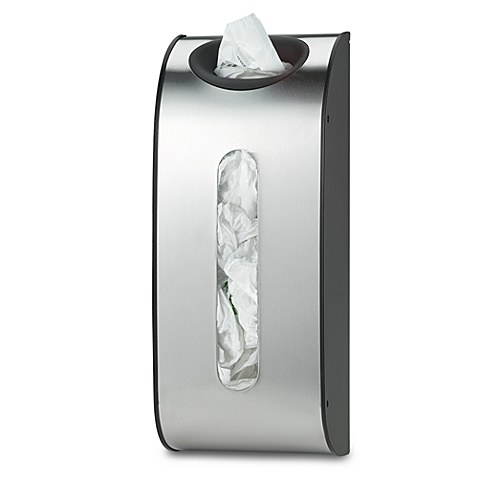 Get it from Bed Bath & Beyond for $12.99. 12. 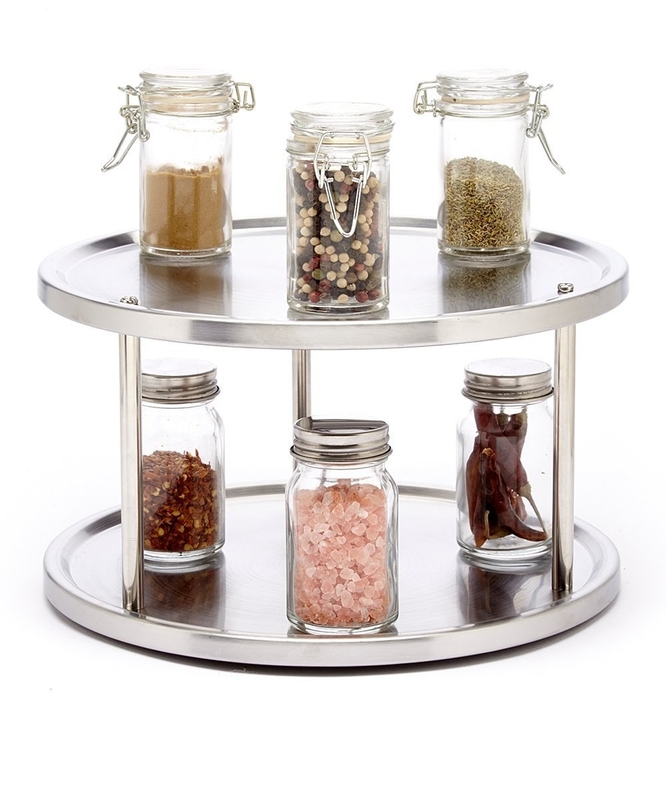 A two-tier lazy Susan spice rack that fits right into your cabinet so all of your favorite flavors are always on the ready. 13. 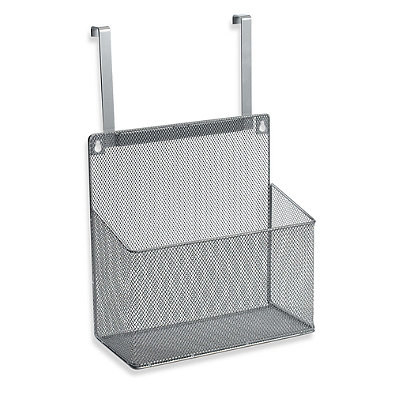 This stackable steel basket to keep veggies and fruits safe from bruising from other mean foods in your cabinet or pantry. Get it from Food52 for $30. 14. 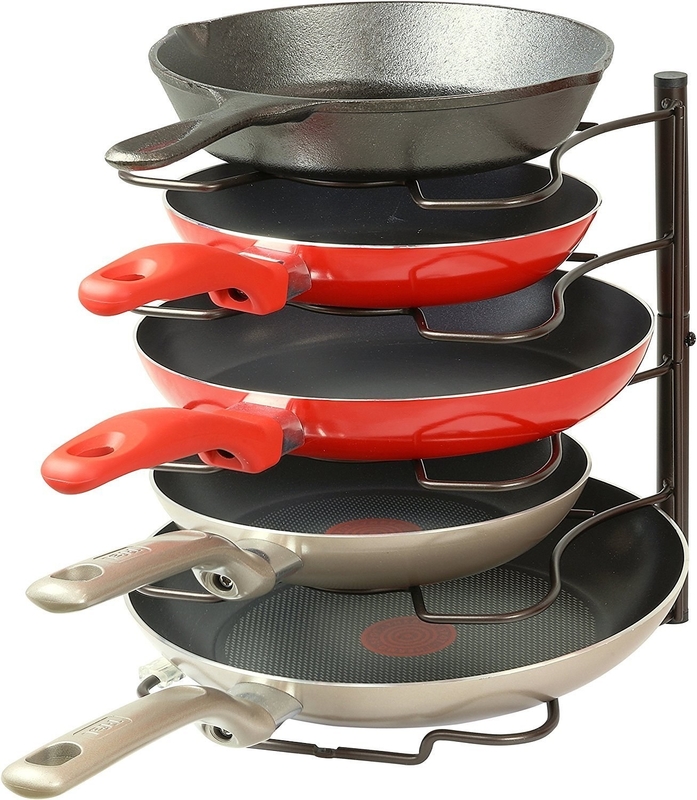 A sturdy pan rack that'll prevent them from getting scratched and rendering your nonstick surfaces ineffective. You can stop putting all of your pots and pans in the oven now! 15. 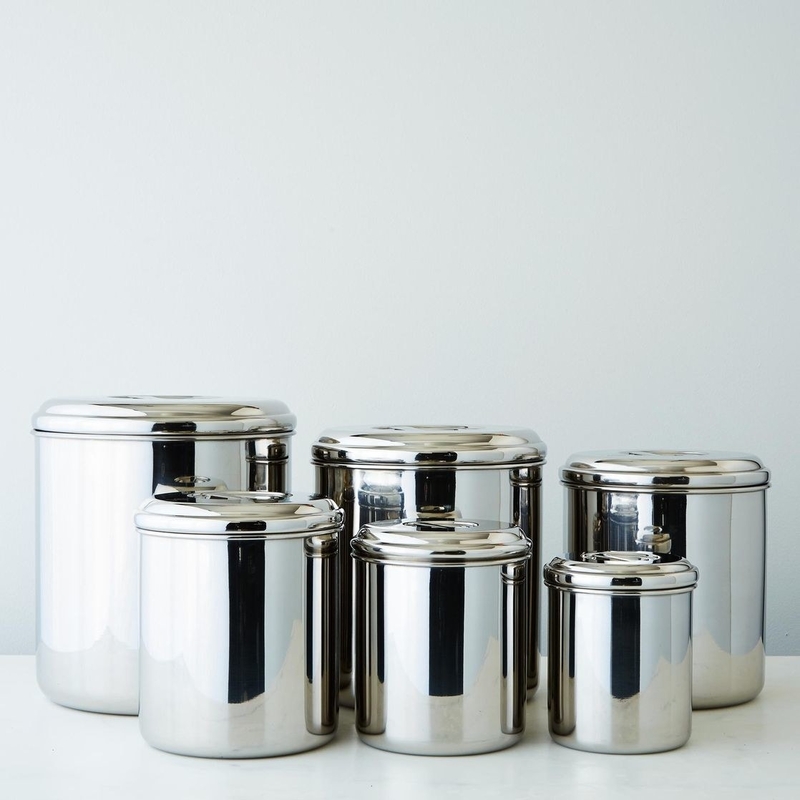 A set of stainless-steel canisters to store all of your baking essentials in (like brown sugar), without making a mess on your shelves. 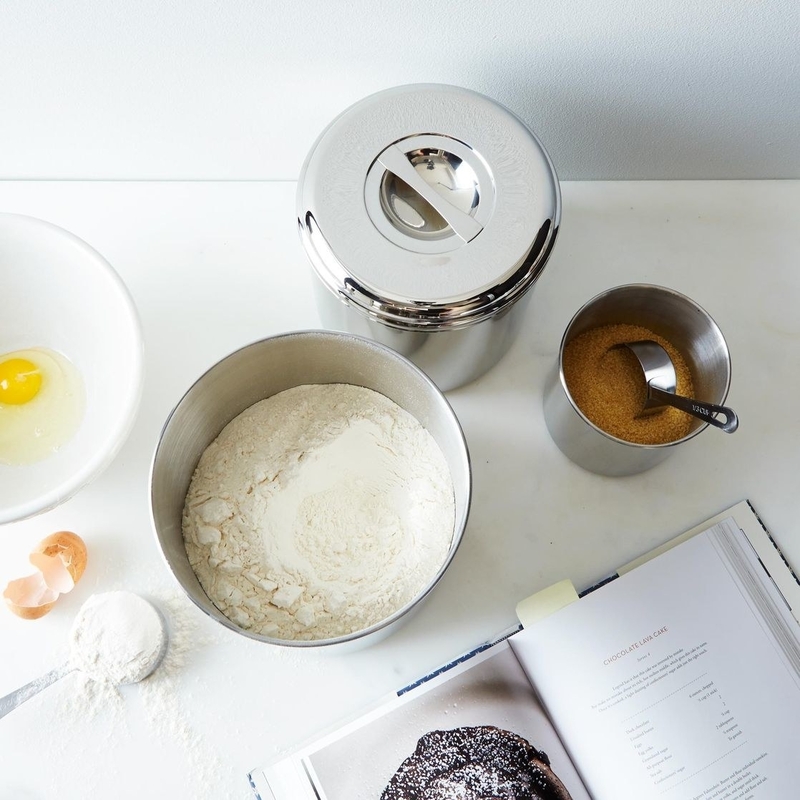 Get them from Food52 for $180. Comes in a set of six. 16. 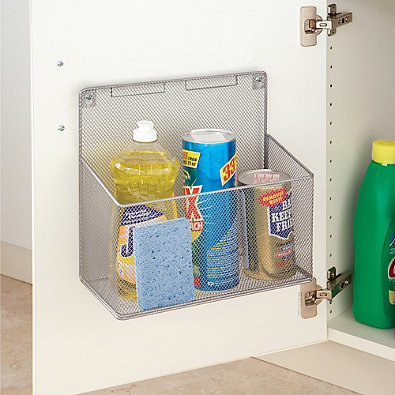 This mesh cabinet organizer to let all of your sponges and other cleaning supplies live happily in harmony. Plus, it'll let 'em air out! Get it from Bed Bath & Beyond for $14.99. 17. 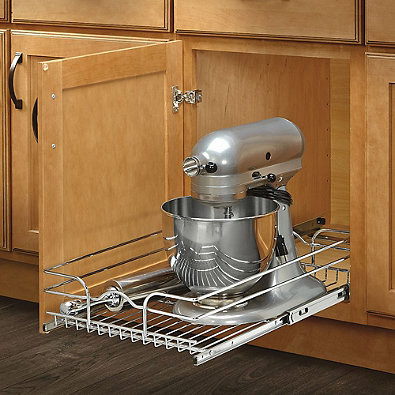 This pull-out basket for heavy kitchen appliances that don't need to be seen *all* of the time. Get it from Bed Bath & Beyond for $37.99+. 18. 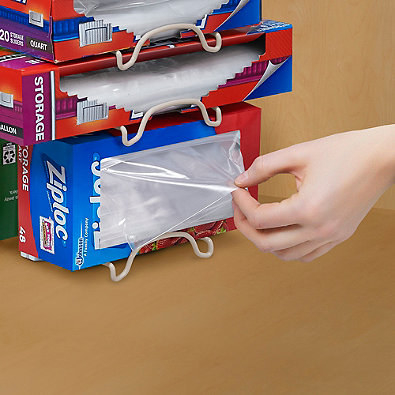 A stainless-steel bag holder so your plastic bags full of even more plastic bags can become a thing of the past. Katy Perry would be proud. "Do you ever feel like a plastic bag, drifting through the wind, wantng to start again?" Get it from Bed Bath & Beyond for $9.99 or Amazon for $14.99. 19. 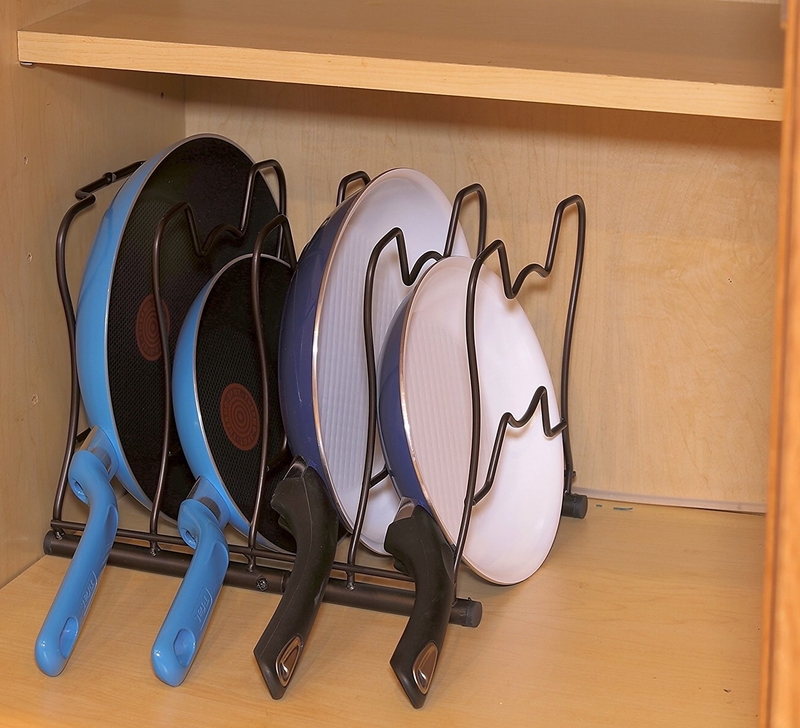 This door-mount pot lid rack so you never misplace a lid again. 20. Stick-on containers to place on the back of your medicine cabinet mirror to keep all of your favorite makeup on hand in the morning. Get it from The Container Store for $9.99. Comes in a pack of three. 21. 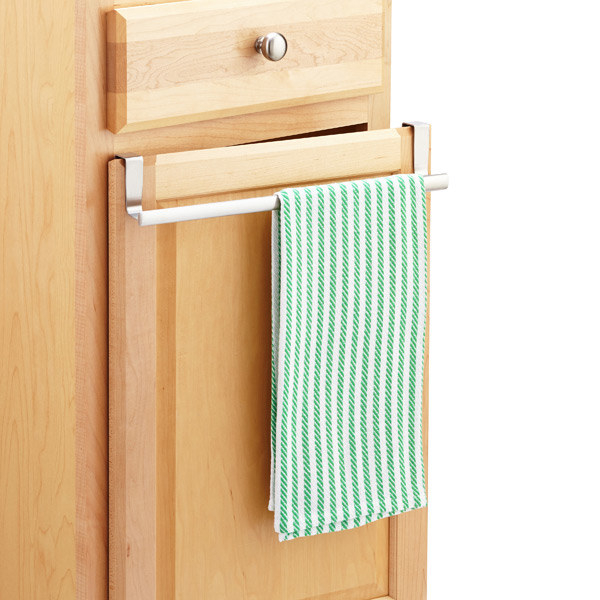 A stainless-steel towel rack that expands for larger dish towels. Get it from The Container Store for $10.99. 22. 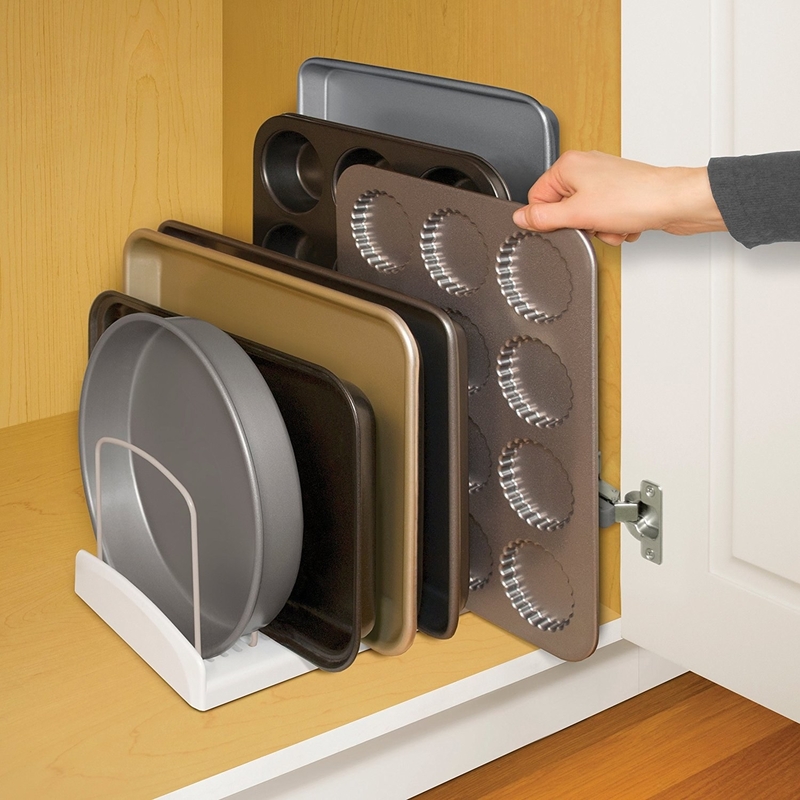 An adjustable bakeware rack for keeping all of your baking items all in one place. Your grandmother would be so proud. 23. 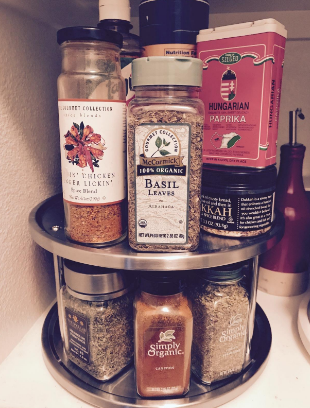 A nifty magnetic spice rack to attach to your fridge for freeing up some room on your counter and keeping your essential spices right by the stove where you need them. 24. 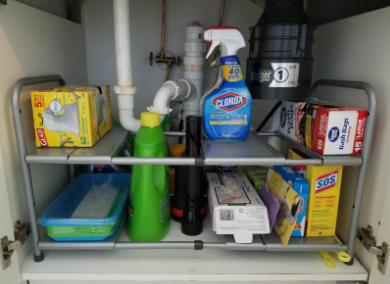 This under-sink rack with two shelves to (rightly) separate your body wash from the Drano. Get it from Amazon for $23.87. 25. 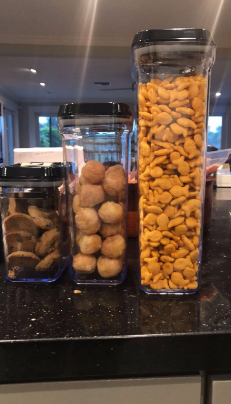 A set of stackable storage containers to save space in your pantry. Flour and sugar spills will NOT be happening again. Get them from Amazon for $28.97. Comes in a set of five. 26. A letter organizer to organize paperwork in a super-deep desk drawer. Just in case you need to find something quickly. 27. 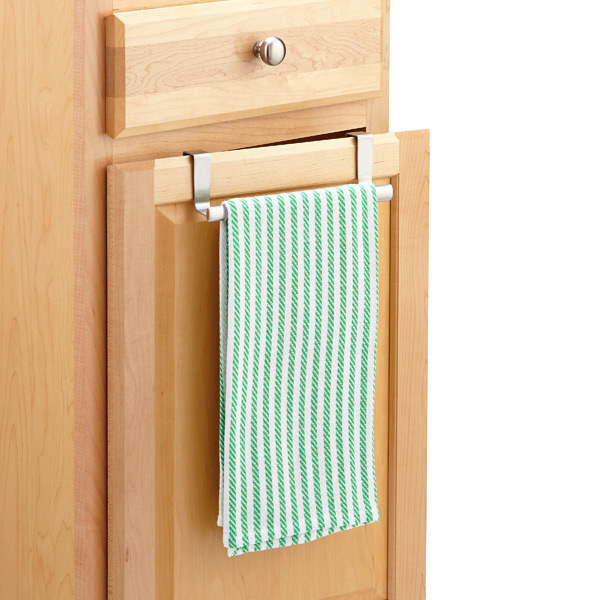 And an over-the-door paper towel holder so your rolls of paper can finally have a place to rest. May you continue placing things in other things!